Bury St. Edmunds law firm, Greene & Greene Solicitors, has announced the appointment of Stuart Hughes as its new Managing Partner, in the 125th year of the firm. 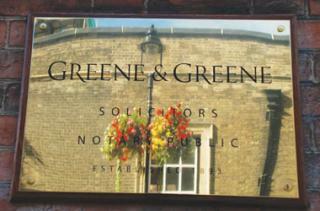 Stuart joined Greene & Greene in July 2012 and is a specialist family lawyer and Head of the Family & Matrimonial Department. Stuart has over 20 years of experience specialising in Family Law and is well regarded for his ability to handle all aspects of relationship breakdown, divorce, separation, finances and disputes concerning children. He is an accredited Family Law specialist, member of Resolution, Mediator and Collaborative Lawyer. Simon Ratcliffe, will continue in his role as the Head of Greene & Greene’s leading Company Commercial team, specialising in the acquisition, disposal and reorganisation of businesses. The team advised upon transactions with a total aggregate value of circa £1bn during 2017.